Donald Trump has long boasted of his independence from GOP donors, but that may be changing. Donald Trump triumphed in the Republican primaries, at least in part, because he explicitly rejected the party’s donor class and relentlessly painted his opponents as bought-and-paid-for. “These are highly sophisticated killers, and when they give $5 million, or $2 million or $1 million to Jeb [Bush], they have him just like a puppet,” he proclaimed at the Iowa State Fair. 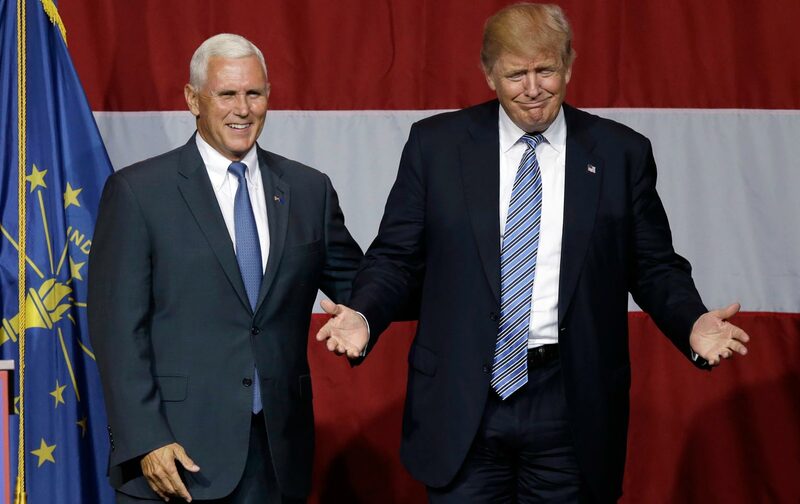 In that sense, Trump’s selection of Indiana governor Mike Pence is exceptionally strange. For years, Pence has been a loyal political ally of the biggest GOP donors out there: the Koch Brothers. Pence began traveling in similar lanes to the Koch brothers early in his career. In 1991, Pence became president of the Indiana Policy Review Foundation, which is part of the State Policy Network. Those are innocuous names, but as a Center for Media and Democracy report explains, SPN affiliates “push an extreme right-wing agenda that aims to privatize education, block healthcare reform, restrict workers’ rights, roll back environmental protections, and create a tax system that benefits most those at the very top level of income.” The IPRF was a small group back when Pence was president, but in the years since it has amassed an enormous budget thanks in large part to the largess of the Koch network of donors. When Pence eventually made it to Congress, he became a favorite of the libertarian megadonors by opposing a lot of George W. Bush’s big-spending programs, like the Medicare Part D expansion. Both Koch Industries and Koch Enterprises became top donors to Pence’s Congressional career. As governor of Indiana, Pence earned even more admiration for his enormous tax cut—-the biggest in Indiana history, which Pence signed only a few months after taking office. The cuts were so big they actually met resistance from some Republican members of the state legislature, but many Koch groups loved them. “He’s made Indiana a leader when it comes to moving forward with greater economic freedom” Tim Phillips, the president of the Koch-backed Americans for Prosperity, told the Washington Post. There are deep staff connections between Pence and the Koch network as well. His long-time adviser and past chief of staff, Mark Short, is now president of Freedom Partners, another Koch group. When Pence endured a series of political embarrassments last year, from his support of an unpopular “religious freedom” law to a botched attempt to start a state-run news service, Pence hired Koch Industry’s then-communications director, Matt Lloyd, to come work for him in Indiana. Lloyd was a longtime Pence staffer in Congress and during his political campaigns before leaving for the Koch job. As the 2016 election approached, the Koch brothers were widely reported to be urging Pence to run, which he ultimately declined to do. His name on the Trump ticket—-if that happens—-still doesn’t guarantee the Koch network will lend financial support to the presidential campaign. Politico and the Washington Post already both reported Thursday that the Koch network’s dislike of Trump will keep them from spending money on the presidential race even with Pence on the ticket.